Beretta unveiled the new APX, a striker-fired service pistol developed for military and law enforcement users, as well as the commercial market. Right now details are thin — most details come from the All4Shooters.com coverage of an international arms show — but what is known is that the gun was launched for the international defense market, so when a U.S. version becomes available specifications will be slightly different. 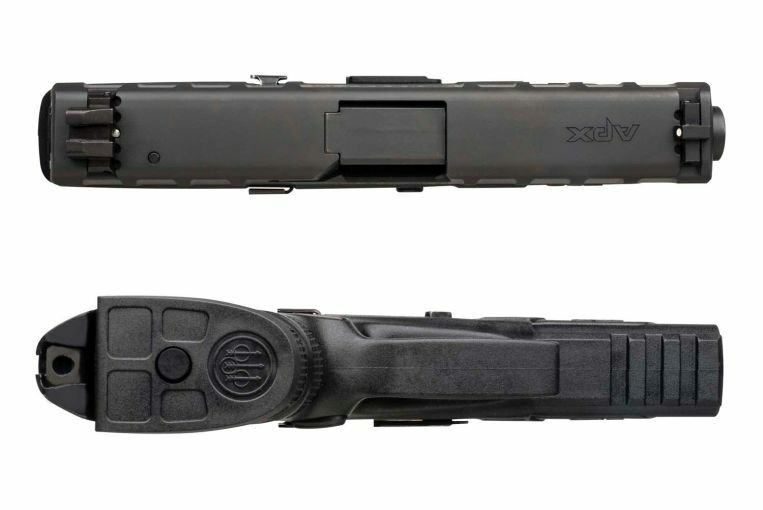 The APX is somewhat of a first for the company. Beretta is famously known for their military sidearm, the M9 series, a traditional alloy-framed, double-action semi-automatic pistol based on the Beretta 92. 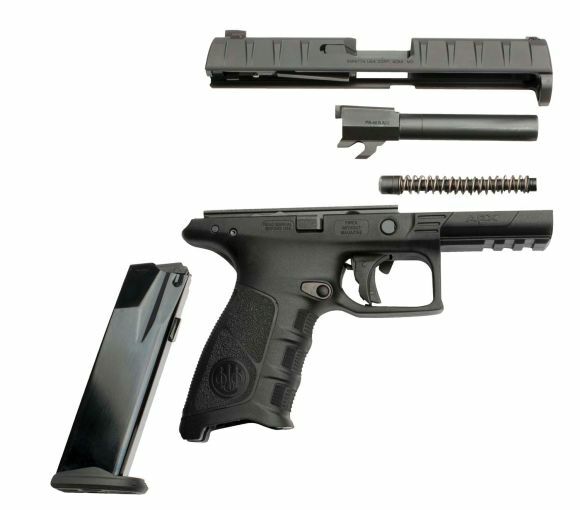 The APX is a completely different type of service pistol with the striker-fired trigger and polymer frame. 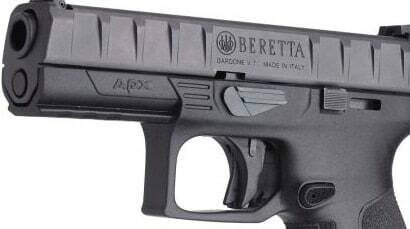 But in another sense, the APX is the successor to the 92 — Beretta intends to compete with it in the military’s Modular Handgun System. “Of course we will continue to develop the APX to take into consideration the final specifications of the MHS as they become known,” said Gabriele De Plano, Beretta Defense’s vice president of marketing. The MHS program is led by the U.S. Army and Air Force. The goal of the MHS is to seek out a replacement for the M9 pistols in service with the majority of the military. The M9 started to replace M1911 pistols in 1985 and is starting to show its age. The guns are at the end of their service life and many argue the design is just as dated. Beretta offered to make changes to the existing design with the announcement of the M9A3 but the Army declined to evaluate it, instead driving forward with the MHS program. Today, striker-fired service pistols dominate the market, in the private sector and the public. The APX has been due for some time. “With the show opening February 22, IDEX is one of the first venues where defense contractors present their wares to worldwide military customers and Beretta felt this was the ideal environment to present the international offering of its APX pistol,” Ferlito said. 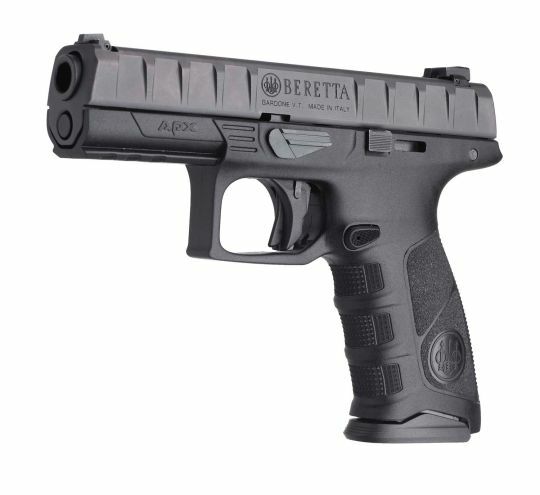 What is known is that the APX will have a 4.25-inch barrel, a 17+1-round capacity in 9mm and a 15+1-round capacity in .40 S&W and an unloaded weight of about 28 ounces. Beretta also intends to offer the pistol in 9x21mm IMI for European markets. Designed to meet military specifications and consumer demands the pistol features a modular frame system with interchangeable backstraps for hands of all shapes and sizes, a 6-pound trigger with a 1/8-inch take-up, 1/8-inch overtravel and a 1/8-inch reset and ambidextrous controls including dual slide stop levers and a reversible magazine catch. 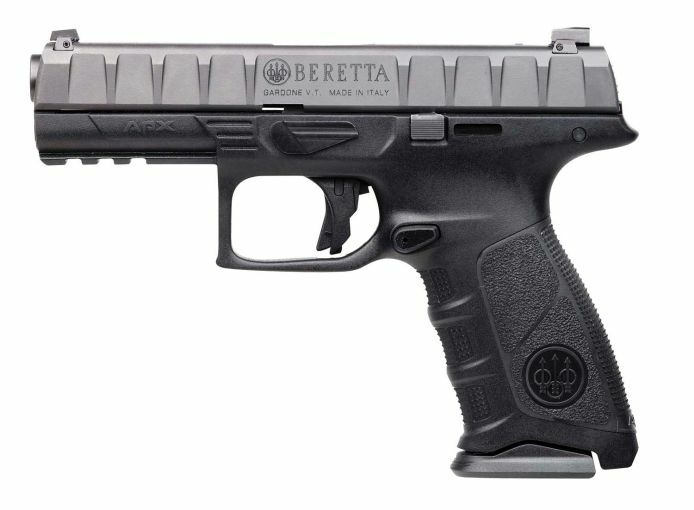 On paper the APX is a very modern pistol and when this hits the market, assuming the price is competitive — something Beretta is quite good about — it will be a strong seller. That goes double if the gun is adopted as the new MHS, and it’s obvious Beretta is hungry for the extremely prestigious contract. If you would like to register to receive more information about the APX as soon as it’s released, you can register with Beretta for APX-related news and updates.